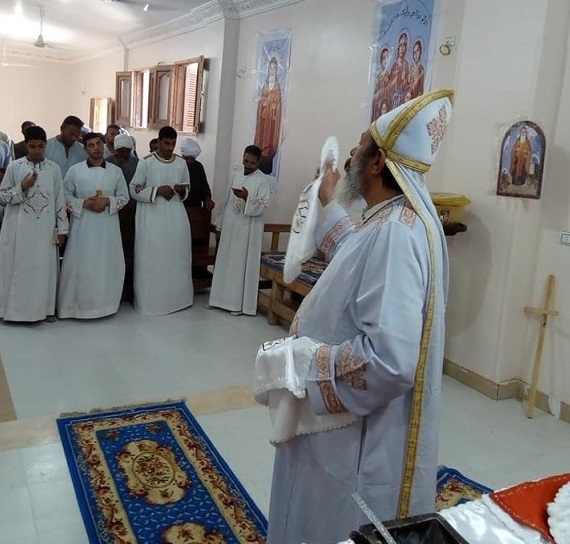 A Coptic diocese in Upper Egypt last week saw its eighth church closed following attacks by Muslim villagers protesting against the church being legally recognised. Across Egypt, there are thousands of buildings informally acknowledged as churches. Exactly two years ago, the government introduced a new common law granting church buildings the same rights as mosques. About 3,500 pre-existing ‘churches’ were waiting to be legalised at the time: some had been waiting for over 20 years. Discussions to redress the imbalance had fruitlessly been going on since the 1970s. In January this year, Egypt’s Ministry of Housing announced that Christians are allowed to continue to meet in unlicensed churches, pending the legalisation process. But in Luxor governorate alone, eight churches have had to be closed while seeking legalisation, Gamil Ayed, a Christian lawyer in the city of Esna, told World Watch Monitor. “We haven’t heard that a mosque was closed down, or that prayer was stopped in it because it was unlicensed. Is that justice? Where is the equality? Where is the religious freedom? Where is the law? Where are the state’ institutions?” he said. Coptic political researcher Karim Kamal said in January: “The issue of unlicensed churches is not a problem from the state, governors, the Ministry of Interior or housing. The real problem lies in the ultra-conservative Islamists in some villages in rural and Upper Egyptian governorates, who fuel tensions over small unlicensed churches to pressure security officials into closing these churches to prevent sectarian strife,” he told the Egyptian news site AhramOnline. The problems in the diocese of Esna and Armant started when the presiding bishop, Abba Yoaquim, filed an application for the legalisation of its churches. The Virgin Mary and St. Mohrael Coptic Orthodox church in El-Zeniqa, 60km south of the city of Luxor, had to close its doors on 22 August while Copts were celebrating the Feast of the Assumption of Mary. “A great deal of Muslim young men, aged 16-26, from our village and nearby gathered in front of our church building, shouting ‘Allahu Akbar’ [Allah is the greatest] and chanting hostile slogans against Copts and the Church, such as ‘We don’t want a church in our Islamic village’,” church member Moheb Thabet told World Watch Monitor. “They tried to break the front door … but we locked [it] from the inside. We immediately called the police who arrived and dispersed the demonstrators but they didn’t arrest anyone. They then closed the church building, sealed it and placed security guards with it, and security forces cordoned off the village streets”. The Copts make up around 15% of the village of El-Zeniqa. Since February 2003 they had been meeting in a two-storey building that the diocese bought for them. There were never any problems with other villagers, said Thabet, “until rumours started circulating that the government commission was to visit soon to inspect the status of our building, and that it would become a formal church”. That’s when the protests started. In the end, police arrested five Copts and 15 Muslims. The 20 were charged with illegal gathering, obstructing the road, disrupting public peace, and inciting sectarian strife. The Copts were also charged with praying in an unlicensed place. The prosecution ruled that they ought to be held in detention for 15 days, pending investigation. A nearby church is still closed after it was locked in similar circumstances in June. St. Mary and Anba Feltaas Coptic Orthodox Church in Keyman Almtaanh village, near El-Zeniqa, was attacked by Muslim villagers after they had heard that the church had sought legalisation. “We finished building our church in January and we then started to pray in it, as a church, from time to time, and all the villagers know that,” Rafaat Fawzy, a local resident, told World Watch Monitor. Although police arrived to disperse the demonstrators, no-one was arrested. Guards were assigned to guard the church after it was closed. “There are about 4,000 Christians in our village and we have no place to worship now,” said Fawzy. “The nearest church is the Archangel Church in Wabwrat Al Mataana village, 15km away. It is difficult to go and pray in that church, especially for the old, the sick people and kids,” he added.